Few months back when my parents were here, my friend had invited us for dinner. She is one of the few Konkani friends I have here in KS and we always have a great time when we meet. Our kids love to play with each other while we talk about everything under the sun. 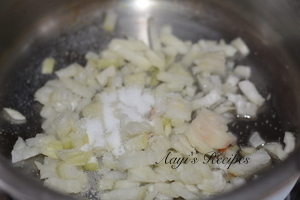 She made a delicious spread for us and there was one dish – this black chana hara masala, (which is what I have named it by the way) that my aayi particularly liked a lot. She even got the recipe from my friend. Then in January, my entire family was down with flu and my friend brought me a few dishes as care package. This dish was one of the 4 dishes she brought. That was the week we all had lost our sense of taste because of fever and we did not like anything we ate. But then my husband, who does not care much for any beans/chickpeas, really enjoyed this. I asked my friend for the recipe again and I have made it few times since then. 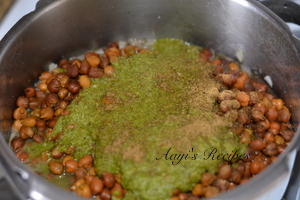 Also try chane ghashi, chane-kele upkari, chana chaat. Cook soaked chana with a pinch of turmeric. Then make the spice paste. Soak chickpeas in water for 6-8hrs. Pressure cook them with a pinch of turmeric (about 4 whistles). 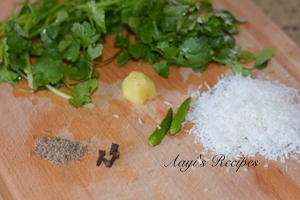 Make a paste of coriander leaves, ginger, green chillies, cloves, cumin seeds, coconut, tomato(optional). Heat a little oil in the pressure cooked pan and fry onions. When they are translucent, add chana, garam masala and the paste, salt. Mix everything well and pressure cook again for 2 whistles. If you want to keep the color of gravy green, avoid tomatoes and use lemon juice instead. You could mix the paste with chickpeas and pressure cook once instead of pressure cooking twice. I thought the paste would loose some of the aroma by doing that. Pressure cooking second time is not really necessary. I feel it helps in chickpeas soaking the masala well, so I did it. What if we want to make this recipe at a very short notice? 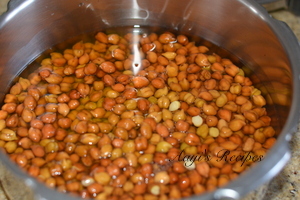 Is there any alternative for soaking chana for 6-8 hours ? You can soak the chana in hot water for 45-60mins and then make it. Very nice, Other than the chapatis, what else other recipe we can serve with this. You can serve with lightly spiced rice items. I served it with tomato rice last week. I tried this black chana recipe and it just tastes awesome. I also recommend everyone to try this at least one time they will love it. Thanks for sharing such amazing recipe. I am waiting for a long time for the your next post, hopefully you will come with new recipe. 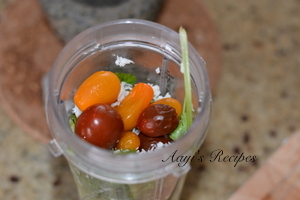 Nice Blog very helpful, thanks for the recipes. I made this recipe last night; it was great! I used the lemon juice instead of the tomato for the first time. 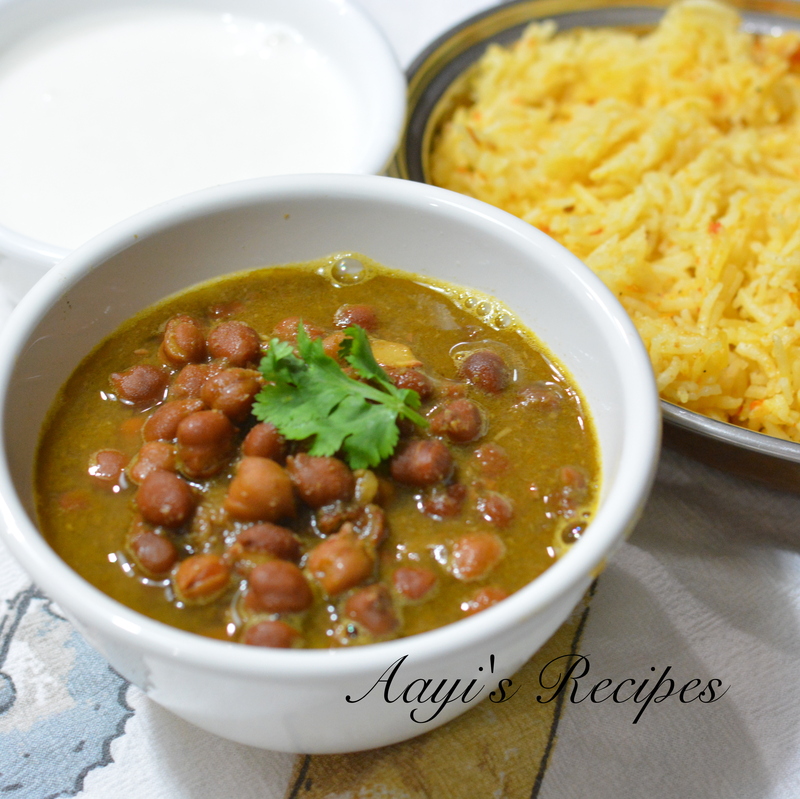 Do you keep some of the cooking liquid from the chana in the final product? My favorite recipe Chana masala, Today i learn a different way of making this video. Thank you so much.